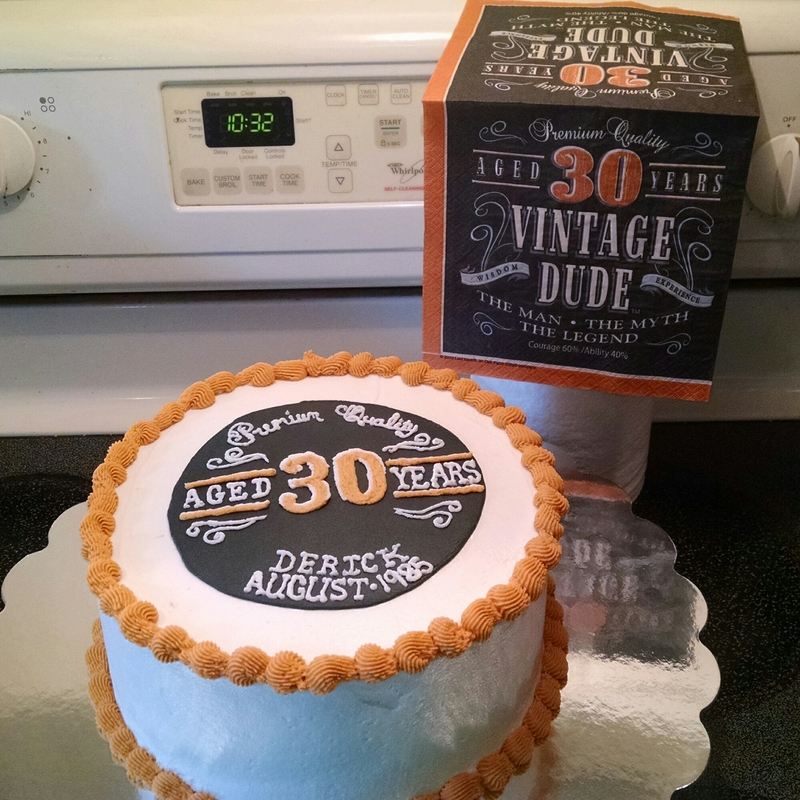 8″ white cake iced vanilla buttercream. Name plaque is made out of fondant with buttercream writing. 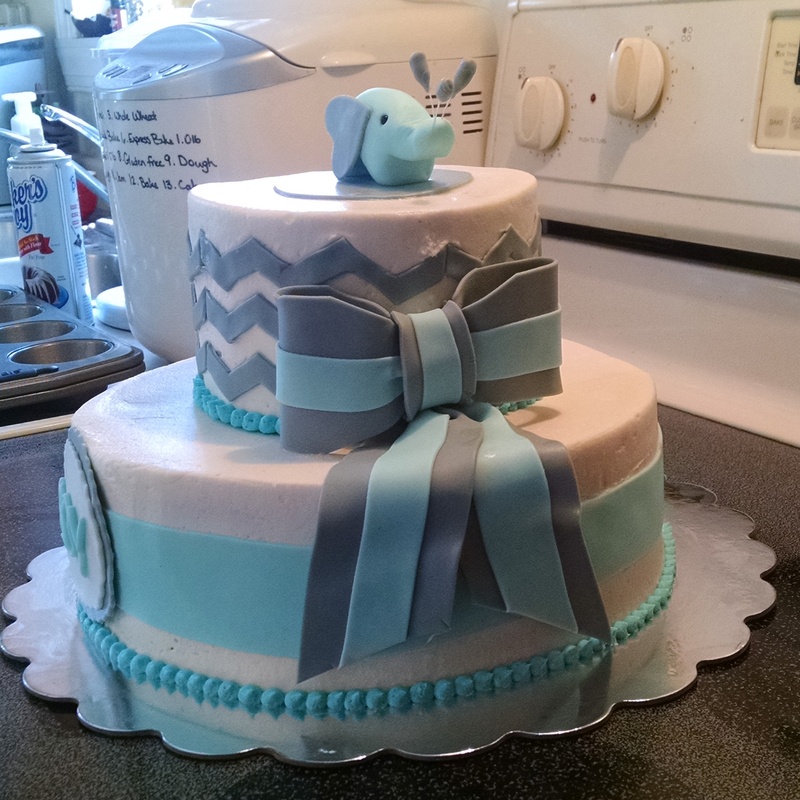 Baby elephant shower cake. 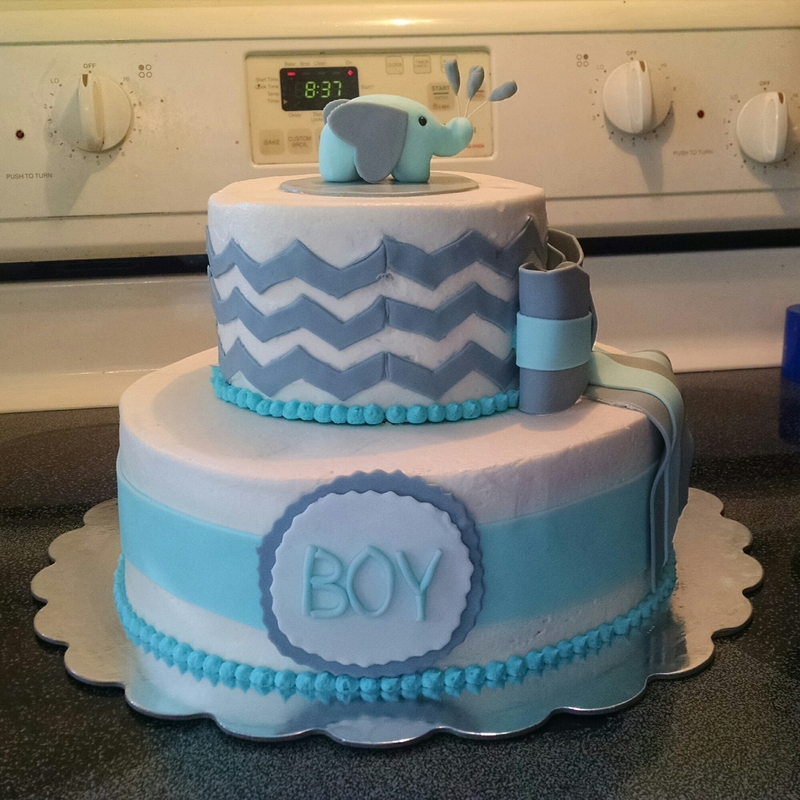 10″ white cake, 6″ chocolate cake all iced with vanilla buttercream. All decorations are hand made from fondant. A white sheet cake iced with vanilla buttercream icing. 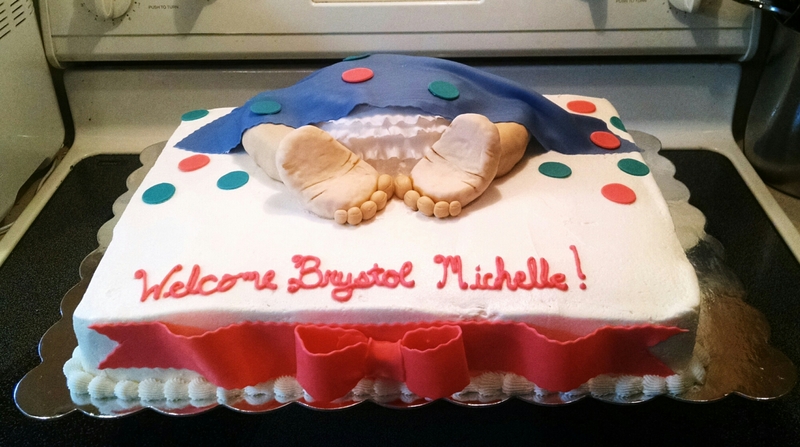 Baby’s legs are made from rice krispies and covered in fondant. All other decorations are hand made from fondant.